1) 雫石 聰, 田中 宗雄, 永田 英樹: 最近の歯周病と栄養素・食品に関するエビデンス. 口腔衛生会誌, 61: 2-12, 2011. 2) Wada H, Goto H, Hagiwara S, Yamamoto Y: Redox status of coenzyme Q10 is associated with chronological age. J Am Geriatr Soc, 55: 1141-1142, 2007. 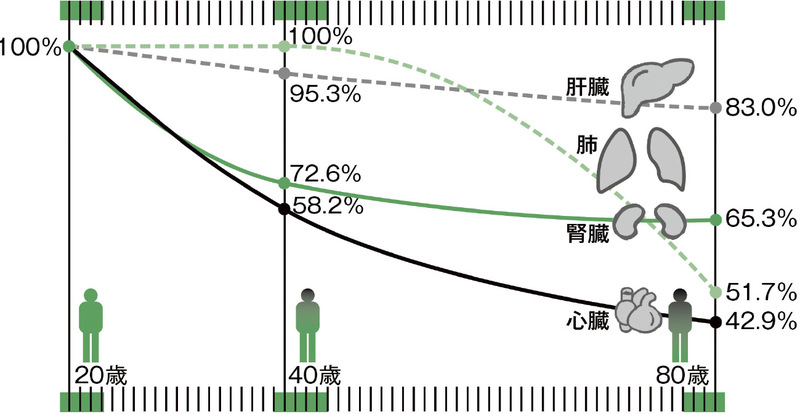 3) 紀氏 健雄: Coenzyme Q10服用時の血漿及び尿中Coenzyme Q10の値. 医薬ジャーナル, 18: 979-984, 1982. 4) Weber C, Bysted A, Hłlmer G: The coenzyme Q10 content of the average Danish diet. Int J Vitam Nutr Res, 67: 123-129, 1997. 5) Kalén A, Appelkvist EL, Dallner G: Age-related changes in the lipid compositions of rat and human tissues. Lipids, 24: 579-584, 1989. 6) 高橋 美知代, 鈴木 敏和, 松本 光, 金子 健彦, 額田 均, 橋詰 直孝: 長期入院高齢者における L-カルニチンおよびCoQ10血中レベルは自立高齢者よりも低値を示す. 臨床栄養協会誌, 30: 23-33, 2014. 7) Lim C, Tan H, Goh K, Subramaniam T, Sum F, Tan K, Lee L, Ong N: Oxidative burden in prediabetic and diabetic individuals: evidence from plasma coenzymeQ10. Diabet Med, 23: 1344-1349, 2006. 8) Marcoff L, Thompson PD: The role of coenzyme Q10 in statin-associated myopathy: a systematic review. J Am Coll Cardiol, 49: 2231-2237, 2007. 9) 菅野 直之, 藤井 健志, 川本 亜紀, 望月 小枝加, 伊藤 聖, 吉沼 直人: ユビキノール (還元型コエンザイムQ10) 含有サプリメントによる歯周病患者の口腔環境改善効果. 日歯保存誌, 56: 385-389, 2013. 10) Watts TL: Coenzyme Q10 and periodontal treatment: is there any beneficial effect? Br Dent J, 178: 209-213, 1995. 11) Mezawa M, Takemoto M, Onishi S, Ishibashi R, Ishikawa T, Yamaga M, Fujimoto M, Okabe E, He P, Kobayashi K, Yokote K: The reduced form of coenzyme Q10 improves glycemic control in patients with type 2 diabetes: an open label pilot study. Biofactors, 38: 416-421, 2012. 12) Lee BJ, Huang YC, Chen SJ, Lin PT: Effects of coenzyme Q10 supplementation on inflammatory markers (high-sensitivity C-reactive protein, interleukin-6, and homocysteine) in patients with coronary artery disease. Nutrition, 28: 767-772, 2012. 13) Langsjoen PH, Langsjoen AM: Supplemental ubiquinol in patients with advanced congestive heart failure. Biofactors, 32: 119-128, 2008. 14) Takane M, Sugano N, Ezawa T, Uchiyama T, Ito K: A marker of oxidative stress in saliva: association with periodontally-involved teeth of a hopeless prognosis. J Oral Sci, 47: 53-57, 2005. 15) Ryo K, Ito A, Takatori R, Tai Y, Arikawa K, Seido T, Yamada T, Shinpo K, Tamaki Y, Fujii K, Yamamoto Y, Saito I: Effects of coenzyme Q10 on salivary secretion. Clin Biochem, 44: 669-674, 2011. 16) Yoneda T, Tomofuji T, Ekuni D, Azuma T, Endo Y, Kasuyama K, Machida T, Morita M: Anti-aging effects of co-enzyme Q10 on periodontal tissues. J Dent Res, 92: 735-739, 2013. 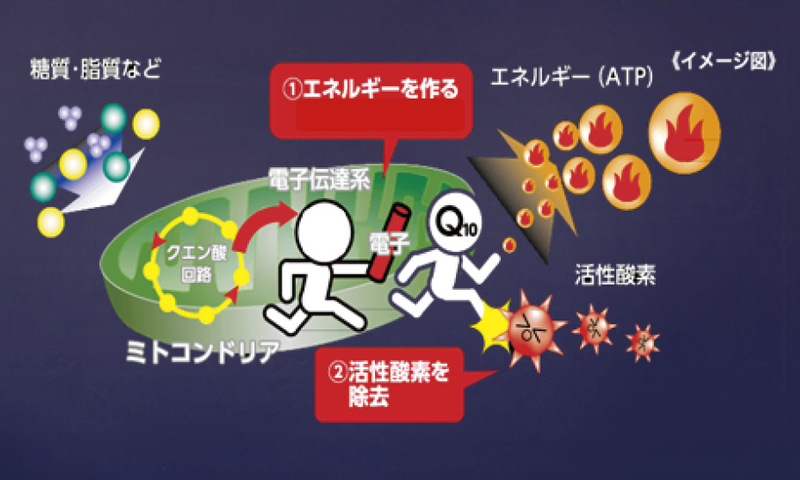 17) Yan J, Fujii K, Yao J, Kishida H, Hosoe K, Sawashita J, Takeda T, Mori M, Higuchi K: Reduced coenzyme Q10 supplementation decelerates senescence in SAMP1 mice. Exp Gerontol, 41: 130-140, 2006. 18) Kinoshita T, Maruyama K, Tanigawa T: The effects of long-term Ubiquinol intake on improving the Quality of Life of community residents. Funct Foods Health Dis, 6: 16-32, 2016. 19) Shults CW, Oakes D, Kieburtz K, Beal MF, Haas R, Plumb S, Juncos JL, Nutt J, Shoulson I, Carter J, Kompoliti K, Perlmutter JS, Reich S, Stern M, Watts RL, Kurlan R, Molho E, Harrison M, Lew M: Effects of coenzyme Q10 in early Parkinson disease: evidence of slowing of the functional decline. Arch Neurol, 59: 1541-1550, 2002. 20) Fukuda S, Nojima J, Kajimoto O, Yamaguti K, Nakatomi Y, Kuratsune H, Watanabe Y: Ubiquinol-10 supplementation improves autonomic nervous function and cognitive function in chronic fatigue syndrome. Biofactors, 42: 431-440, 2016. 21) 丸岡 弘, 藤井 健志: 老化促進モデルマウスにおける還元型コエンザイムQ10と運動トレーニングが老化や運動能力, 酸化ストレス防御系におよぼす影響. 日本補完代替医療学会誌, 9: 97-105, 2012. 22) Alf D, Schmidt ME, Siebrecht SC: Ubiquinol supplementation enhances peak power production in trained athletes: a double-blind, placebo controlled study. J Int Soc Sports Nutr, 29: 10-24, 2013. 23) Hodgson JM, Watts GF, Playford DA, Burke V, Croft KD: Coenzyme Q10 improves blood pressure and glycaemic control: a controlled trial in subjects with type 2 diabetes. Eur J Clin Nutr, 56: 1137-1142, 2002. 24) Langsjoen P, Langsjoen P, Willis R, Folkers K: Treatment of essential hypertension with coenzyme Q10. Mol Aspects Med, 15: S265-272, 1994. 25) 西野 正人, 宇佐神 雅樹, 杉村 悟, 吉崎 振起: コエンザイムQ10の関与が疑われた薬剤性肺炎の1例. 日呼吸会誌, 44: 766-770, 2006. 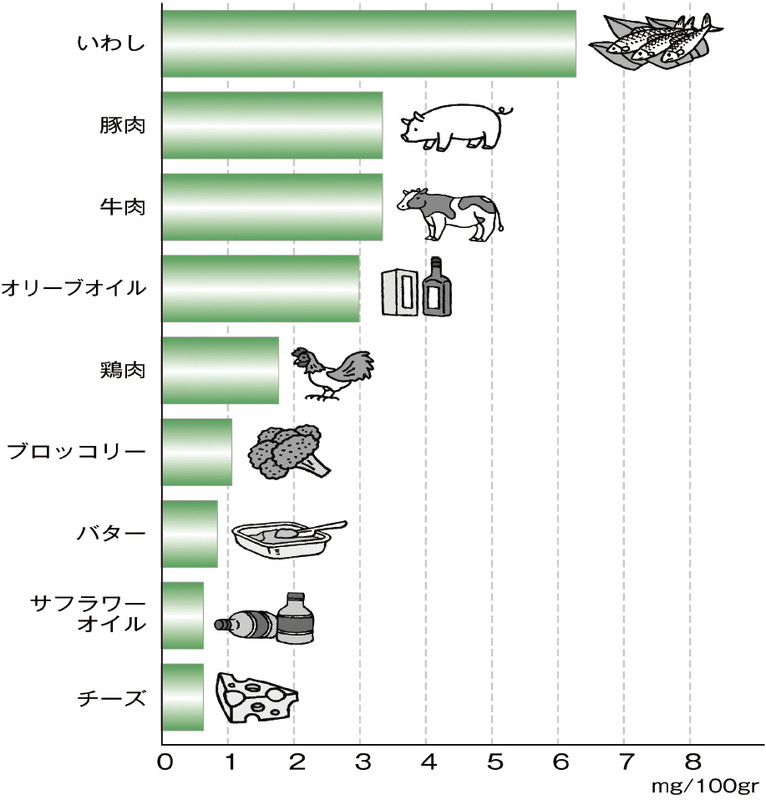 26) 健康食品の安全性に関する情報等 (通知等). 厚生労働省ホームページ http://www.mhlw.go.jp/stf/seisakunitsuite/bunya/kenkou_iryou/shokuhin/hokenkinou/houreituuti.html (参照 2017-04-30).